After testing some very sweet beard oils, it was then the turn of ‘The Boss’ Beard oil from Fuzz Muzzle. Fuzz Muzzle say that this oil is named after ‘The Boss’ and they say it originates from some of the world’s finest tobaccos blended together with a hint of Irish stout, its dark exotic scent is relentless. Notes of herbs and spices have been combined together with Attar of Rose to create a mysterious classic twist! Now of course this has me wondering what their boss is like? Clearly a smoker and likes his Irish Stout but is he dark and exotic? Also does he smell of herbs and spices? Any way jesting aside, I was intrigued by this description and the oil is also very intriguing! 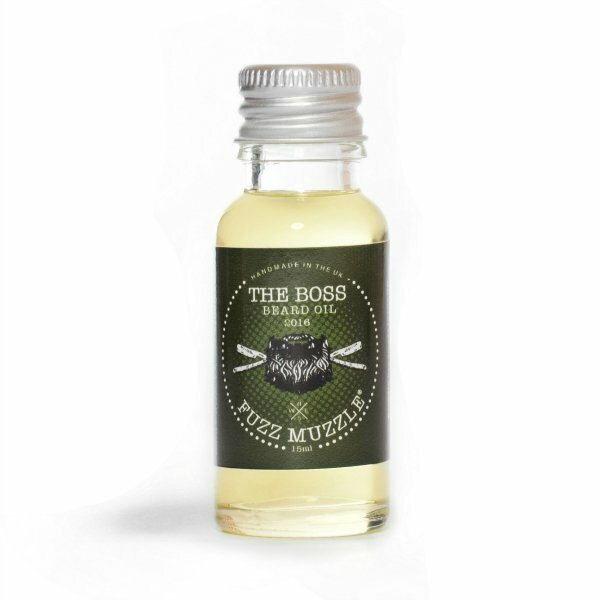 ‘The Boss’ Beard Oil from Fuzz Muzzle has a slightly sweet scent with the tobacco aroma coming in after that. A very slightly spicy note sits in the background and it’s actually quite hard to describe. I can say that it really works. I have tested beard products that have tobacco in before, at first I was very apprehensive because I obviously associate tobacco with smoking. However I was won over by this ingredient in the oils and I actually like the tobacco aroma in beard oils. Tobacco was also used as a medicinal plant, helping with things like Skin Rashes, Eczema and rheumatism. ‘The Boss’ Beard Oil from Fuzz Muzzle gave my mess of a beard a good hold and left it looking good. The scent lasts for a long while and my beard felt soft. I can see this oil being very popular, a Tobacco and Stout scent would appeal to a lot of the guys. Its available in a 15ml bottle for £9.95 or in a 50ml bottle for £25.95 and is available from the Fuzz Muzzle website. ← My nerve pain is taking a rather sinister turn!